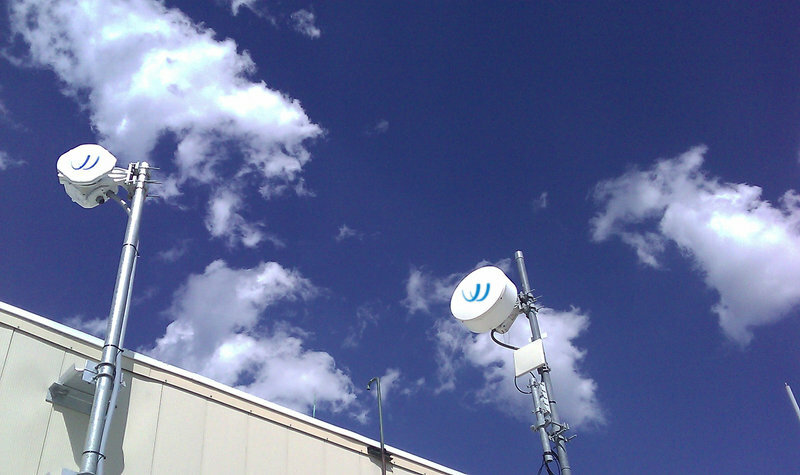 BridgeWave’s standard 12-month limited warranty is included in the purchase price of every BridgeWave radio and includes a high level of support for equipment and network troubleshooting as well as claims processing. BridgeWave understands that a single level of warranty support does not meet the needs of all customers and is pleased to offer an extended warranty to extend the original factory warranty and add next day parts replacement in a single economical package. 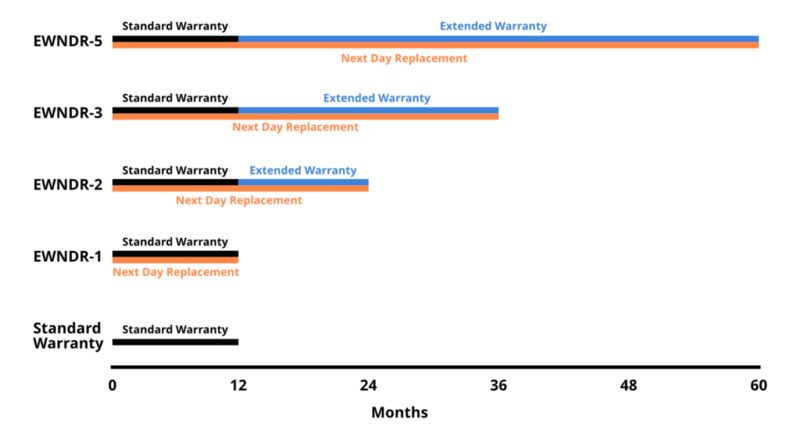 Customers may elect to extend the standard warranty coverage to the second, third, and fifth years of operation by purchasing BridgeWave’s Extended Warranty. Extended Warranty provides the samre features as the BridgeWave Standard Equipment Warranty for an additional 12, 24, or 48 months. This option is available to customers who require a replacement timeframe sooner than the standard 30-day turnaround. When NDR is purchased, replacement products are shipped within one business day. Next Day Replacement is offered to complement the Standard Warranty (NDR-1) for the first year (first 12 months) or to cover multiple years of service. 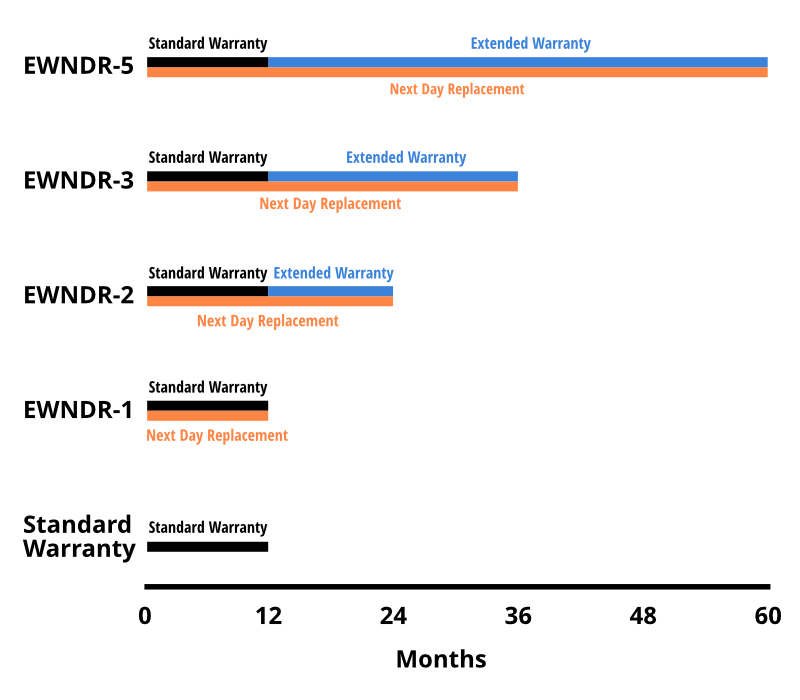 EWNDR services are available to extend factory warranty coverage and advanced next day replacement for a maximum of 60 months from date of shipment. BridgeWave’s EWNDR services are available as a standalone Next Day Replacement (NDR-1) program to complement the original standard warranty, or in multi-year options (EWNDR-2, EWNDR-3, and EWNDR-5) programs providing complete coverage for up to five years.